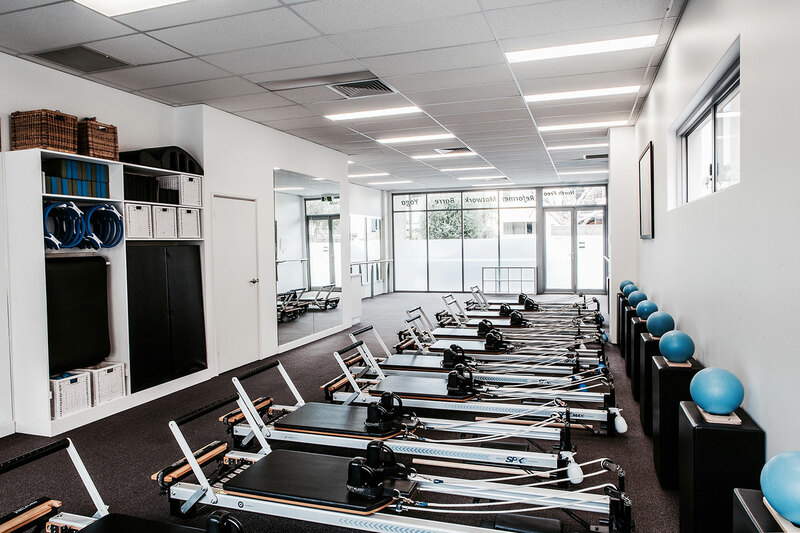 The Pilates Lab in North Freo is a small one room studio that offers a variety of classes including group Reformer Pilates, Matwork Pilates , Yoga, Boxilates, and Barre. In addition, there is a range of small group and 1:1 classes available for clients with injury or clients preferring to work through a program designed especially for their needs and posture type. Our studio is suitable for all age groups helping you achieve your health and fitness goals. Most people don’t understand how good their bodies are meant to feel until you have tried Pilates. We are here to help you discover your thriving self. With regular practice be prepared to gain flexibility, all over muscle tone, strength and mobility of your body. Feel completely confident with our highly qualified instructors to guide you through safe and effective movement. Our contagious enthusiasm for moving our bodies is fused into our classes bringing you thought out and inspired workouts that get you the results you need and want. We truly believe that if you continue to move your spine and develop awareness of your body it’s the easiest way to live a pain free healthy and happy life. Walking into our studio feels inviting and friendly. We are here for you! Our classes are kept to a maximum of 12 clients at North Fremantle allowing us to give you some personal attention when you need it. Navigate through our easy to use schedule, allowing you to book and purchase all your sessions online. We value your business very much and we are truly here to help you obtain your health goals. We will provide the highest quality instruction of Pilates in a studio that makes you feel comfortable and safe. We are dedicated to our clients as we all have a passion for Pilates and what it can do for you. The combination of achieving results, progressing through challenges, and the support you will have from our amazing team pushing you to your limits, is what keeps clients coming back for more, making The Pilates Lab one of the best Pilates studios in Perth. Yes. We recommend you book all your sessions in advance. Classes tend to get busy and book out. So to avoid missing out on your favourite class please book ahead to reserve your space. If the class is full add yourself to the wait list. They move very quickly and you will be notified by text and an email once you have been added in. When there is a cancellation and you are on the waiting list the system will automatically add you into the session up to 1 hr before the class is set to commence. You will be alerted by email or text. We recommend if you are on the waiting list to make sure you check your emails and text messages to confirm your space. If you would like to remove yourself from the waiting list log on to your account in Mindbody. Go to my schedule and cancel your session.